May 10th 2004: Recorded as BARRERAS. September 6th 2004: Recorded as BARRERAS 1646. 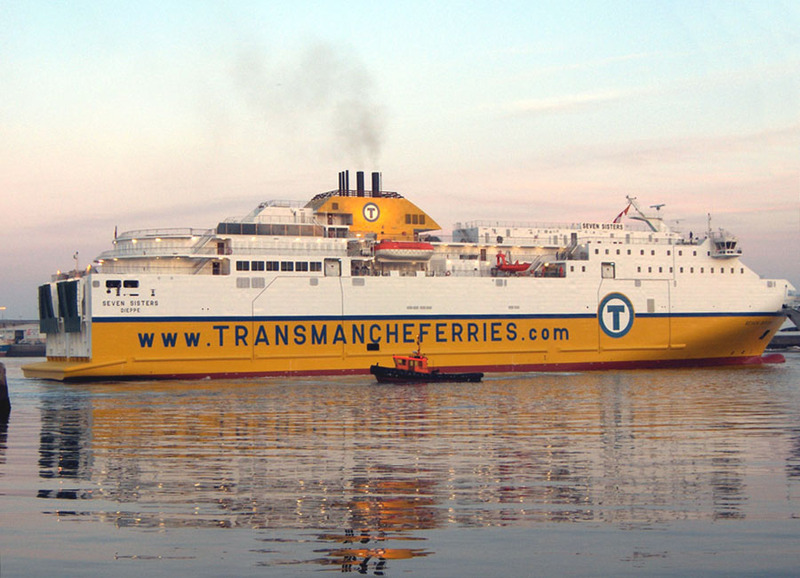 October 2006: Delivered to LD Transmanche Ferries, Dieppe, France. 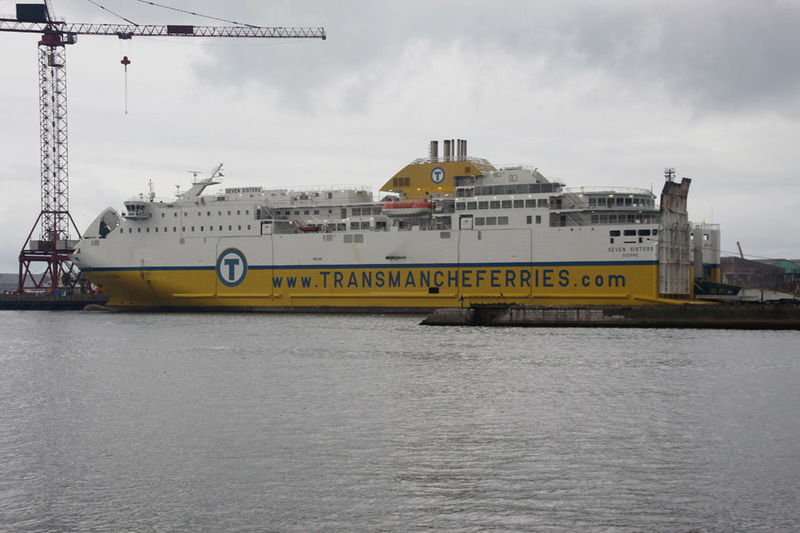 October 21st 2006: Arrived in Dieppe. 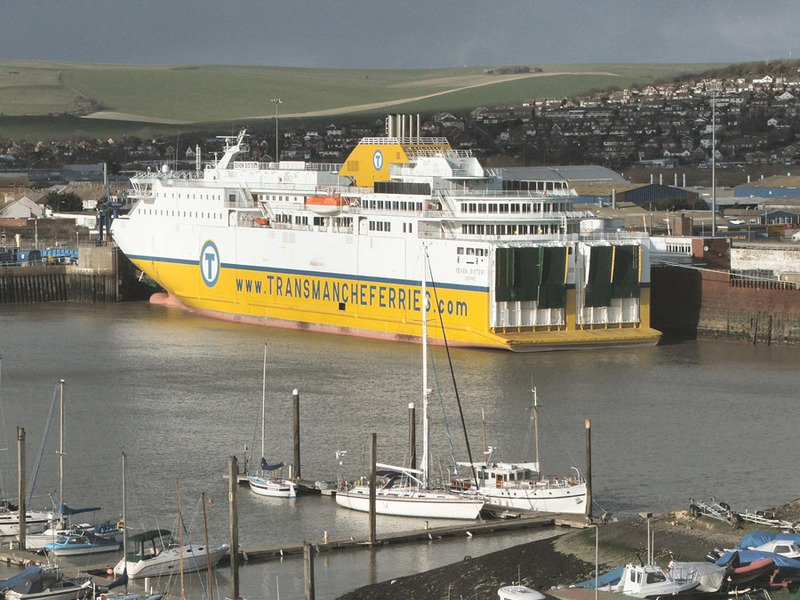 November 2nd 2006: Inaugural service between Dieppe – Newhaven. 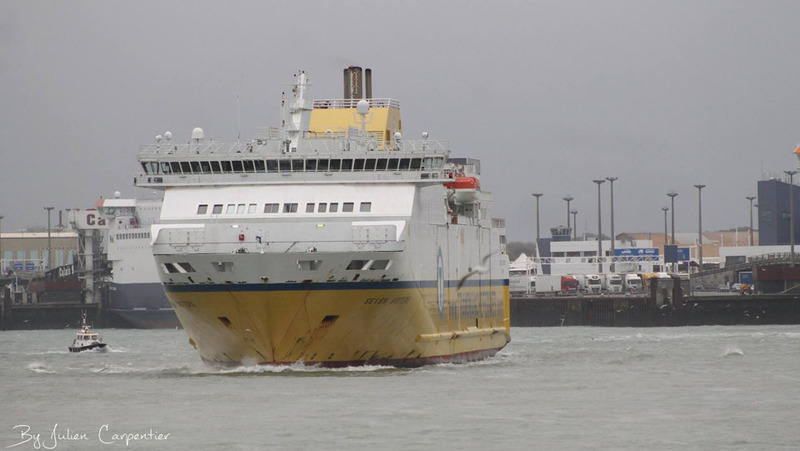 November 25th – 26th 2006: Owing to bad weather used Portsmouth instead of Newhaven. 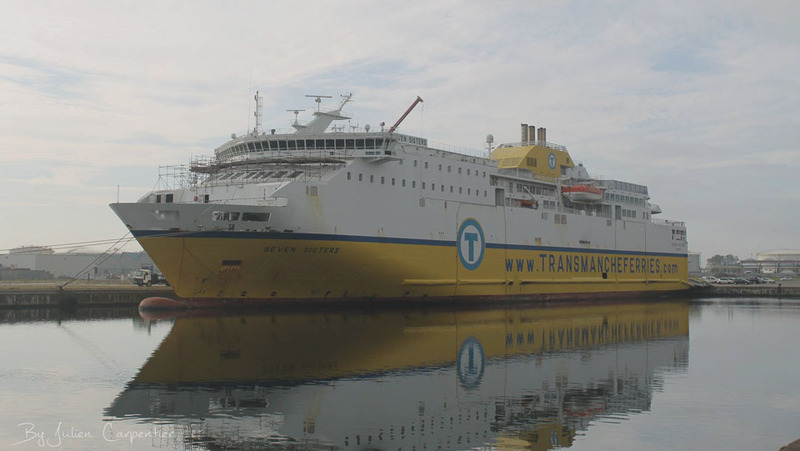 October 3rd 2007: Arrived Remontowa, Gdansk, Poland for refit. October 15th 2007: Resumed service. 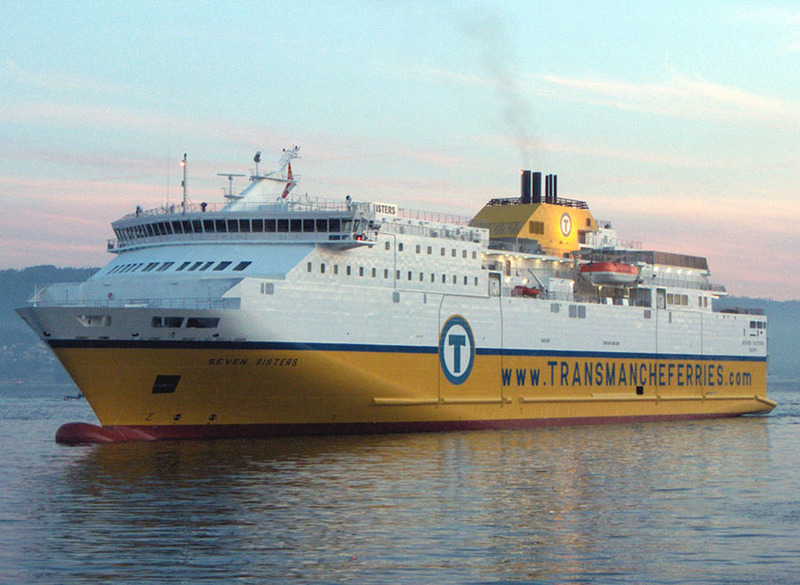 October 2007: Ship Manager; LD Lines. 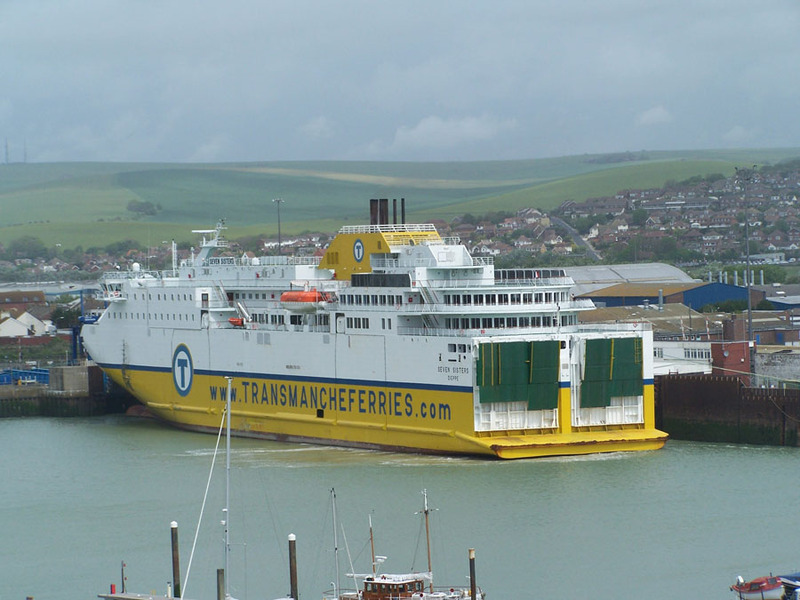 February 3rd 2008: Made contact with fendering in the vicinity of West Pier, Newhaven, resulting in damage to the vessel and the fendering. 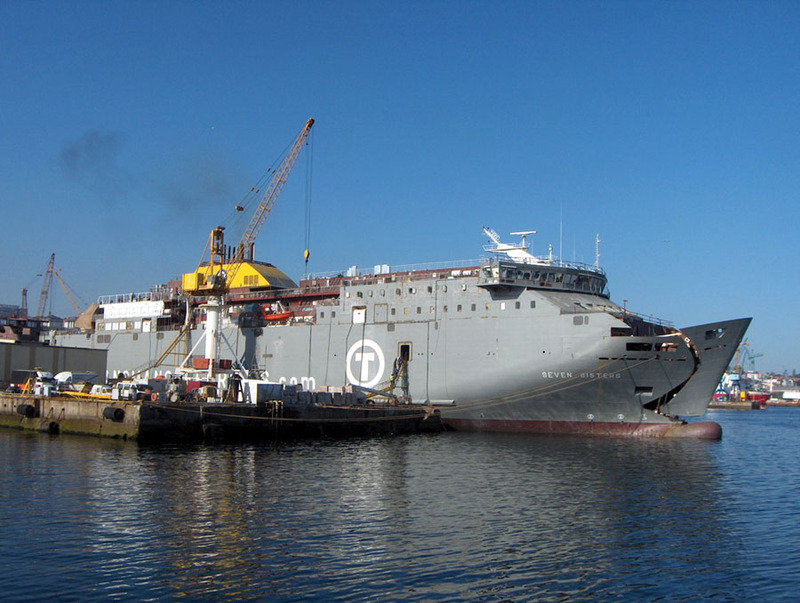 February 2008: She was holed below the waterline which resulted in her removal from service for almost two weeks to effect permanent repairs at ARNO, Dunkerque. 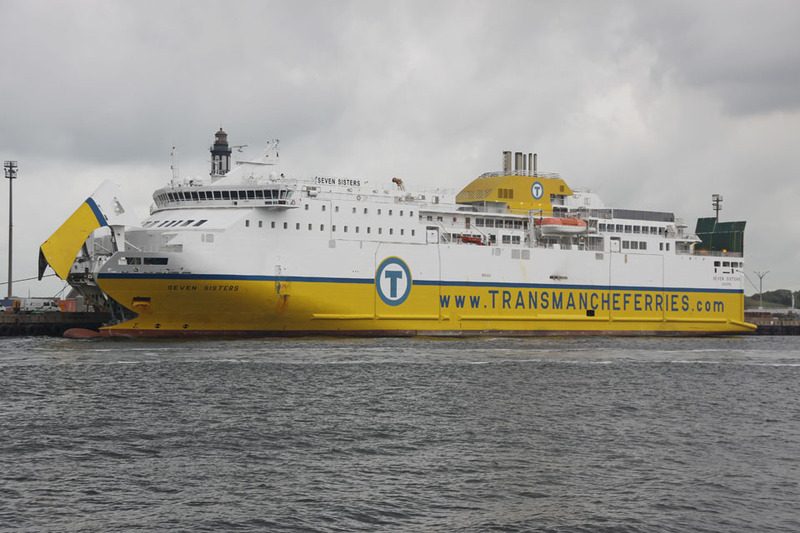 September 8th 2008: Arrived at Sobrena, Brest. 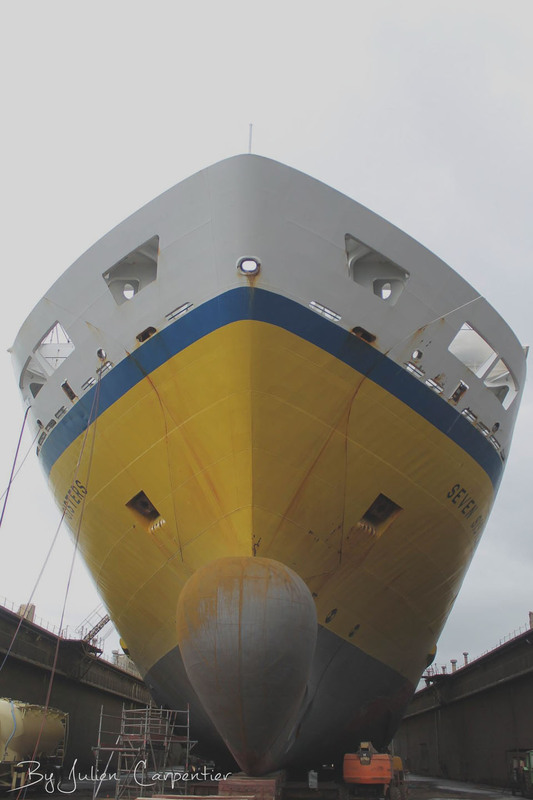 Amongst work carried out was the dismantling and overhaul of two 20-metre engine shafts, weighing 18 tons. October 5th 2008: Resumed service. 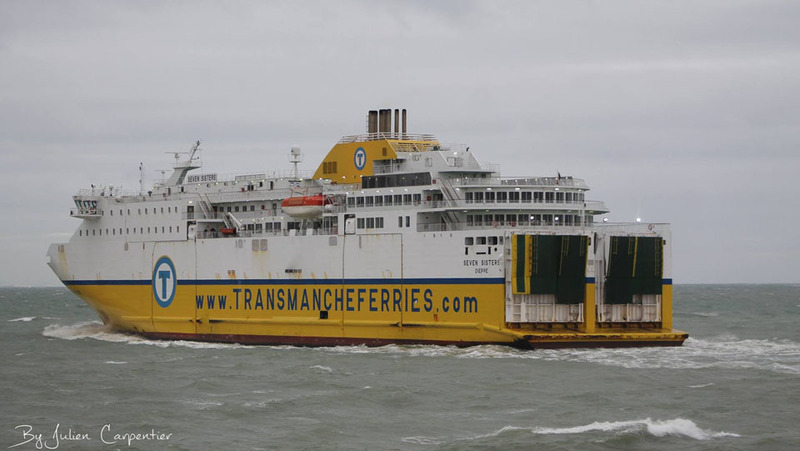 October 8th 2008: Conducted major marine exercise en-route Dieppe – Newhaven. October 2008: Registered Owner; Lico Leasing SA EFC. 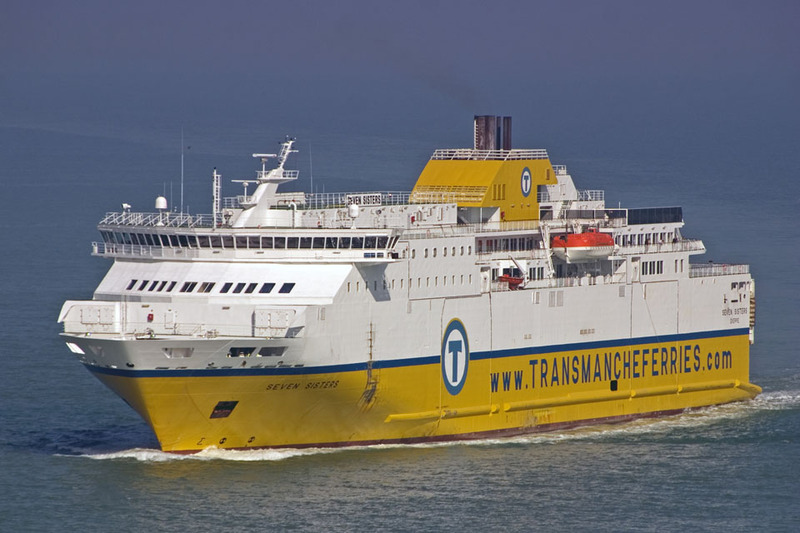 Ship Manager; LD Transmanche Ferries. 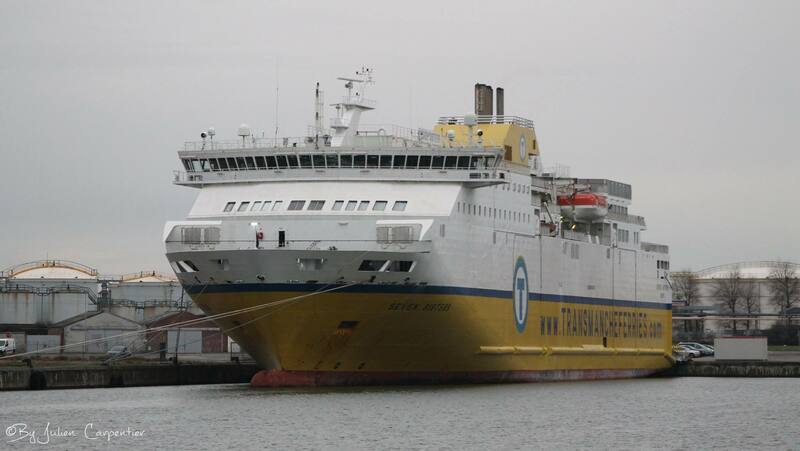 July 3rd 2009: To ARNO, Dunkerque reported engine problems. 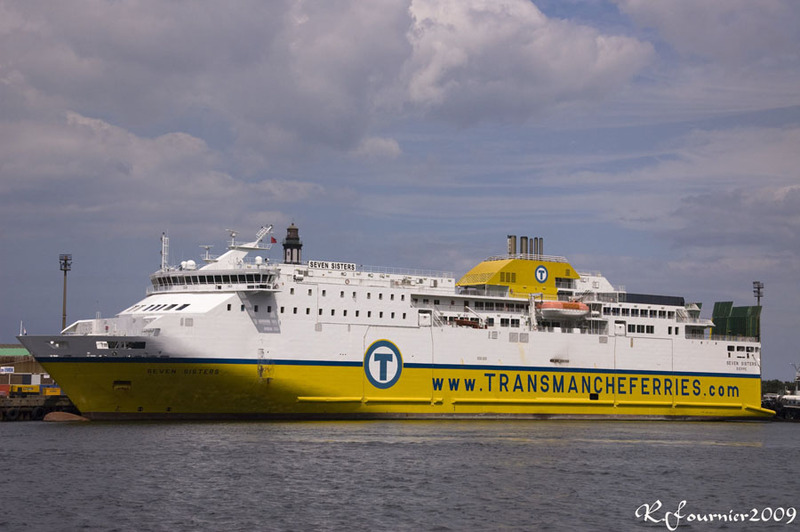 August 10th 2009: Left ARNO bound for Dieppe. 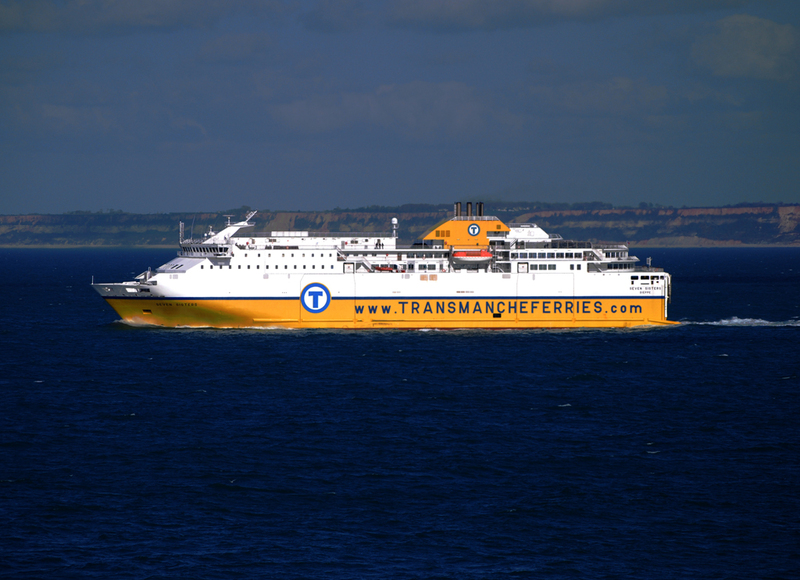 August 11th 2009: Resumed service Dieppe – Newhaven. August 12th 2009: Returned to service. 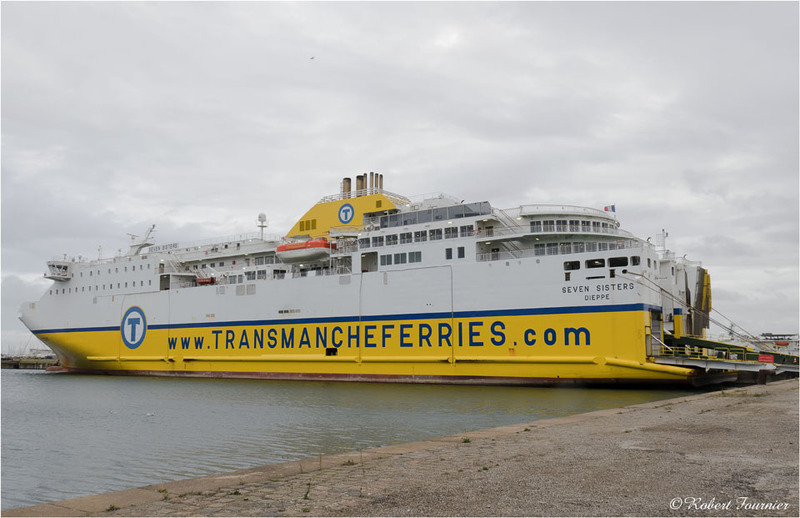 June 2011: Back in Service Dieppe – Newhaven. 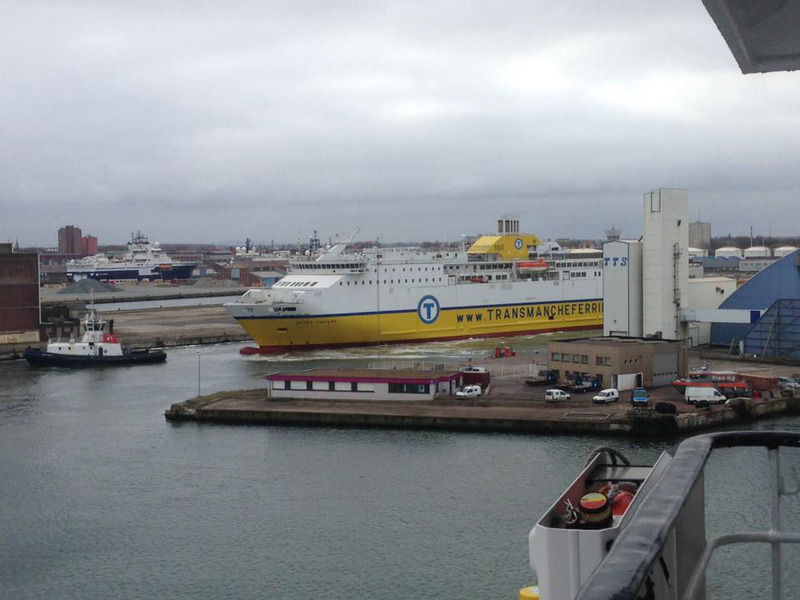 December 23rd 2012: To ARNO, Dunkerque, then to Dieppe for lay up. 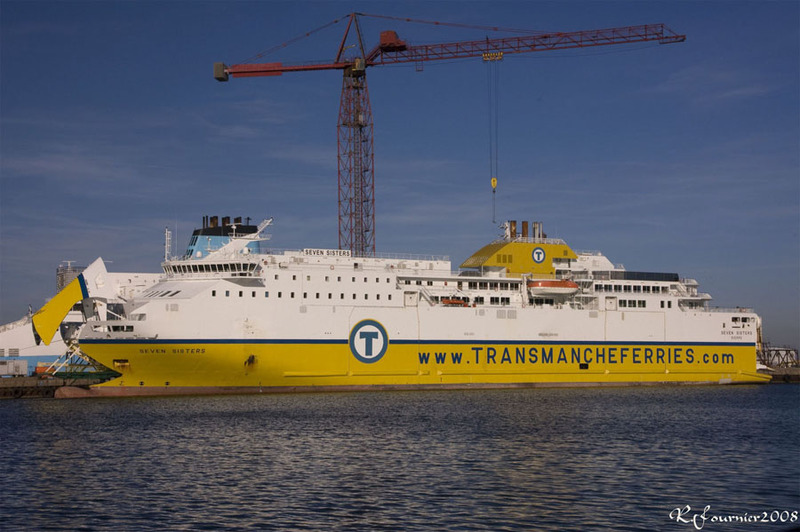 May 2013: Replaced COTE D’ALBATRE (suffering engine problems). 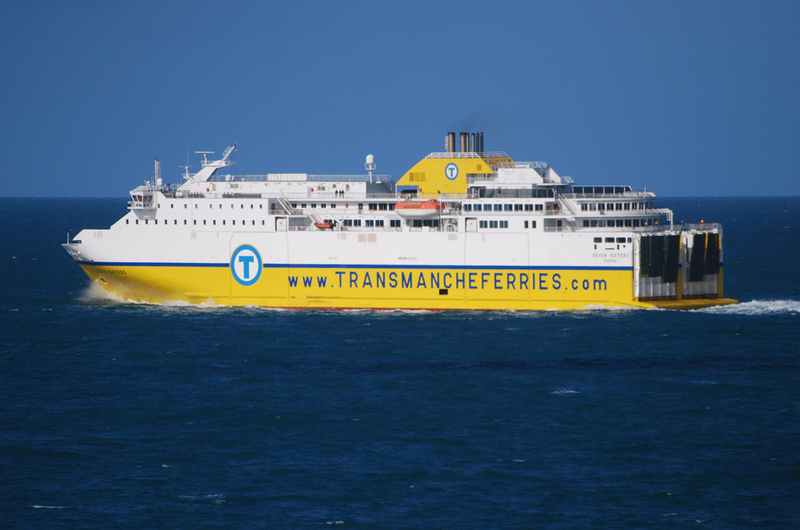 January 21st 2014: Left Dieppe. 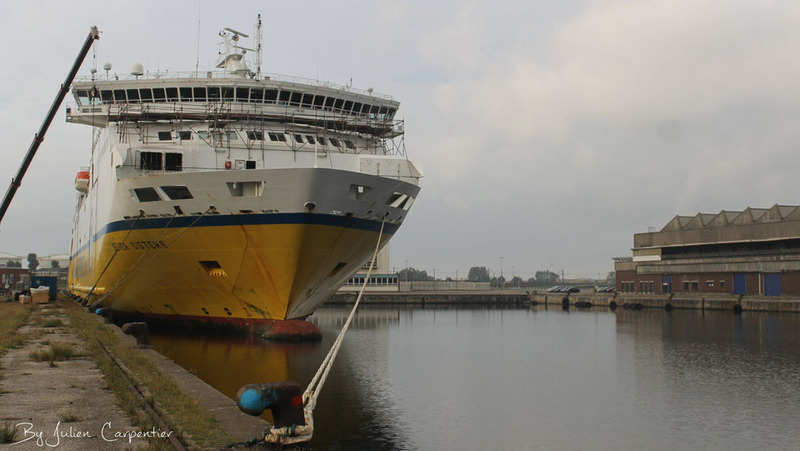 January 23rd 2014: Arrived at ARNO, Dunkerque. 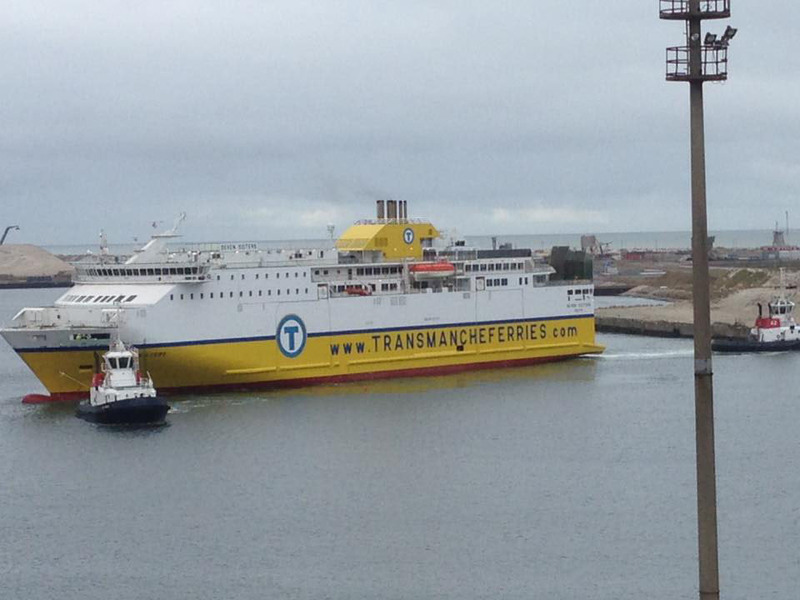 February 16th 2014: Sailed from Dunkerque to Le Havre. 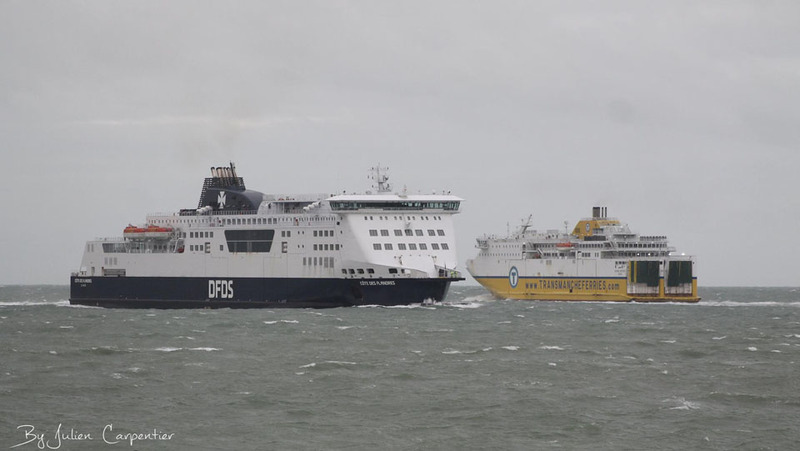 March 10th 2014: Entered service for DFDS Seaways between Portsmouth and Le Havre replacing the Norman Voyager. 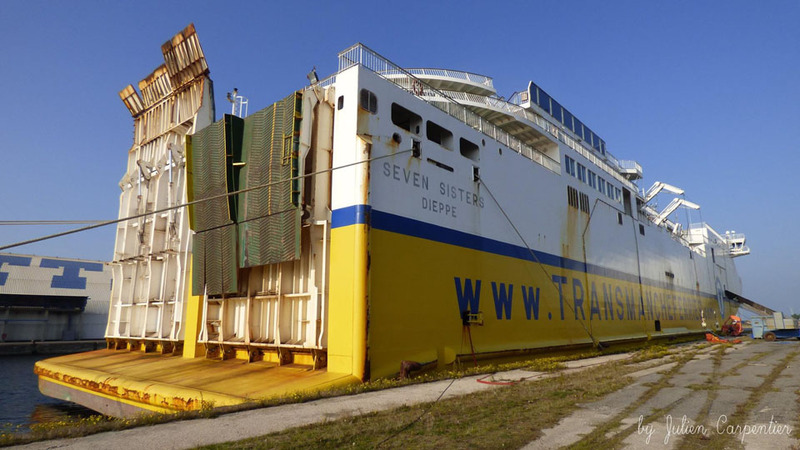 October 6th 2015: Sailed from Dieppe to Dunkerque. 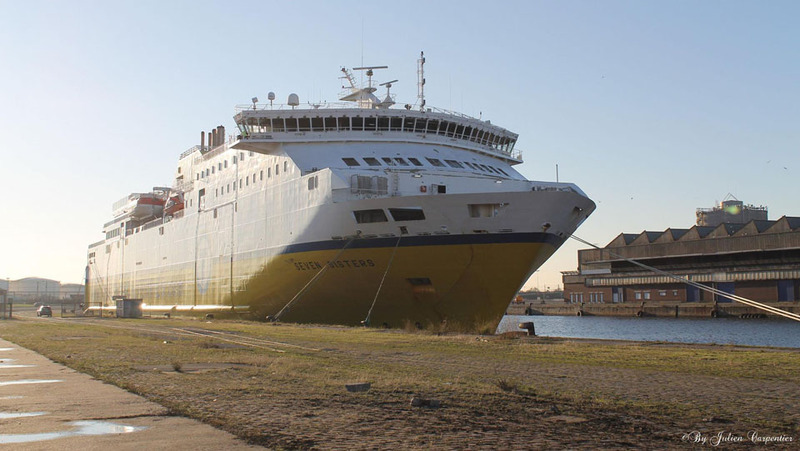 February 28th 2016: Left Dunkerque and sailed to Gdansk for refit. 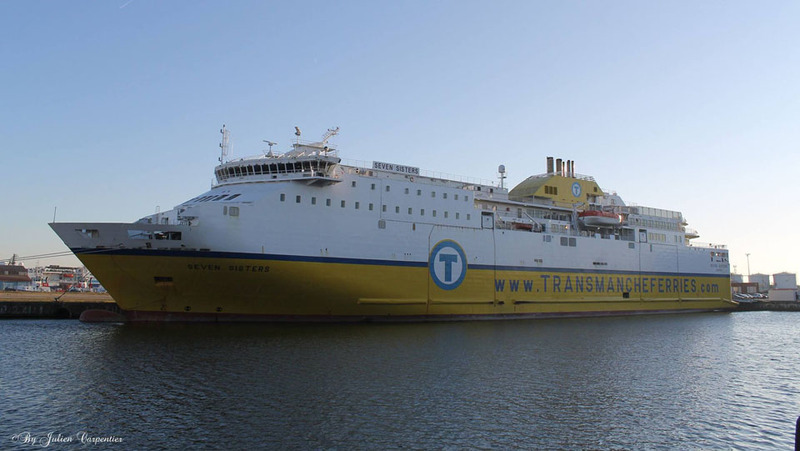 March 16th 2016: Left Gdansk and sailed to Gdansk Anchorage. 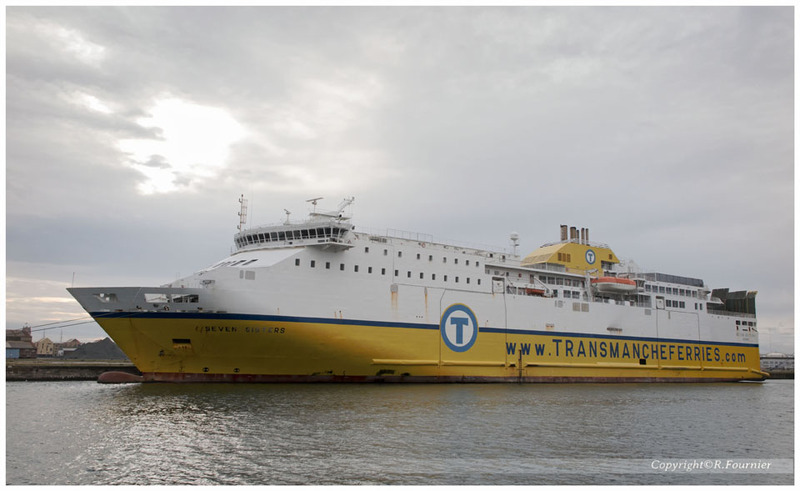 March 16th 2016: Left Gdansk Anchorage and sailed to Helsingborg. 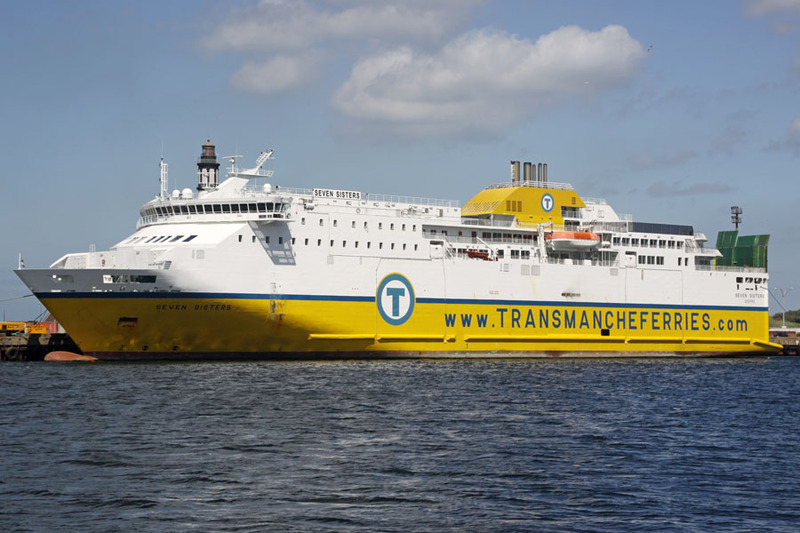 March 17th 2016: Left Helsingborg showing destination Dunkerque. 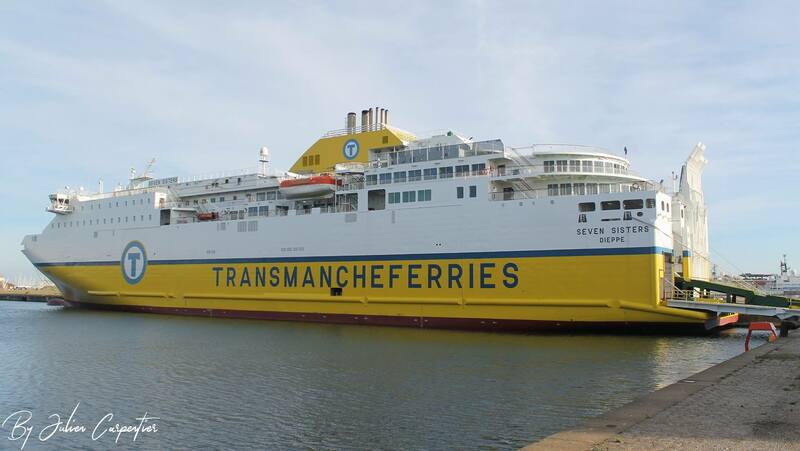 March 19th 2016 (08.18 hrs LT): Arrived in Dunkerque. March 24th 2016 (22.10 hrs LT): Left Dunkerque. March 25th 2016 (06.24 hrs LT): Arrived in Dieppe and continued Dieppe – Newhaven. 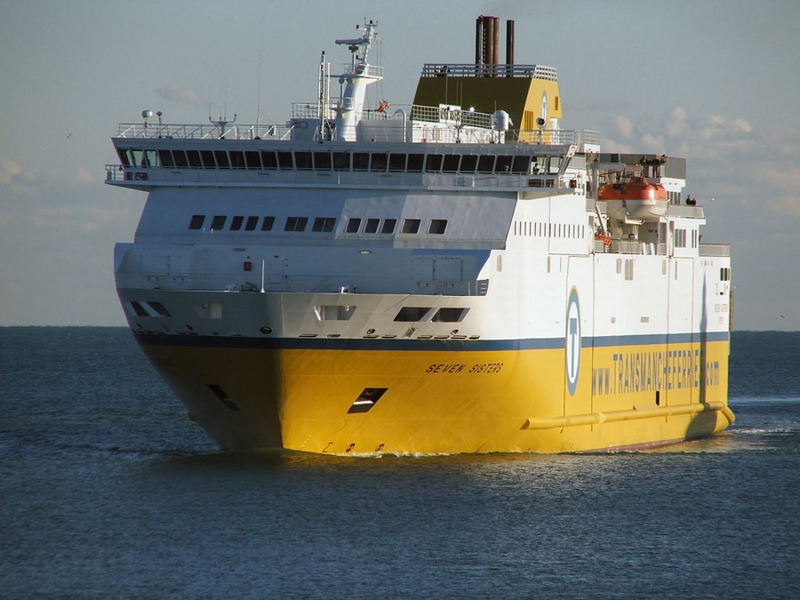 October 1st 2016: To Dunkerque for Winter lay-up. 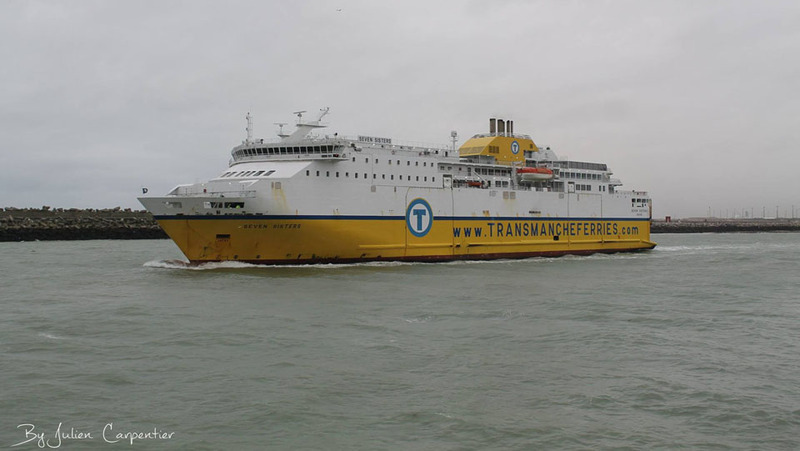 January 6th 2017: Left Dunkerque to resume service between Dieppe and Newhaven. October 1st 2017: Sailed from Newhaven to Dunkerque. January 15th 2018: Left Dunkerque bound for Dieppe. 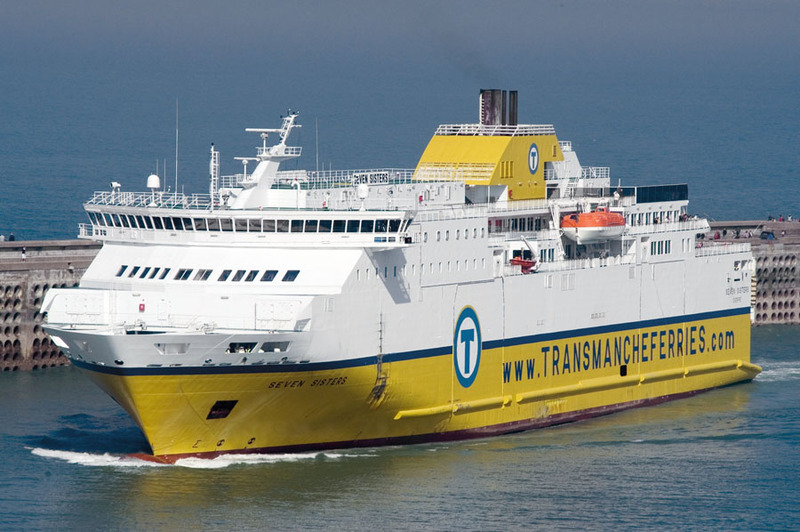 Then resumed service Dieppe – Newhaven. 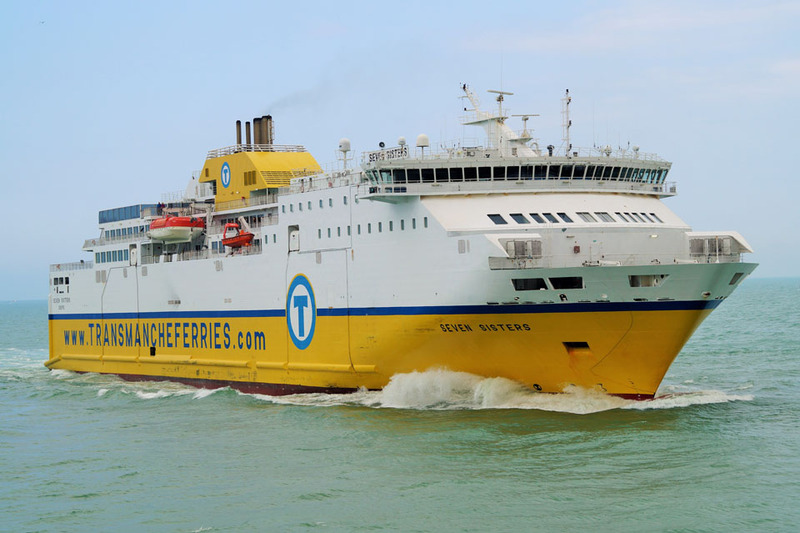 October 1st 2018: Stood down from service at sailed for Calais. 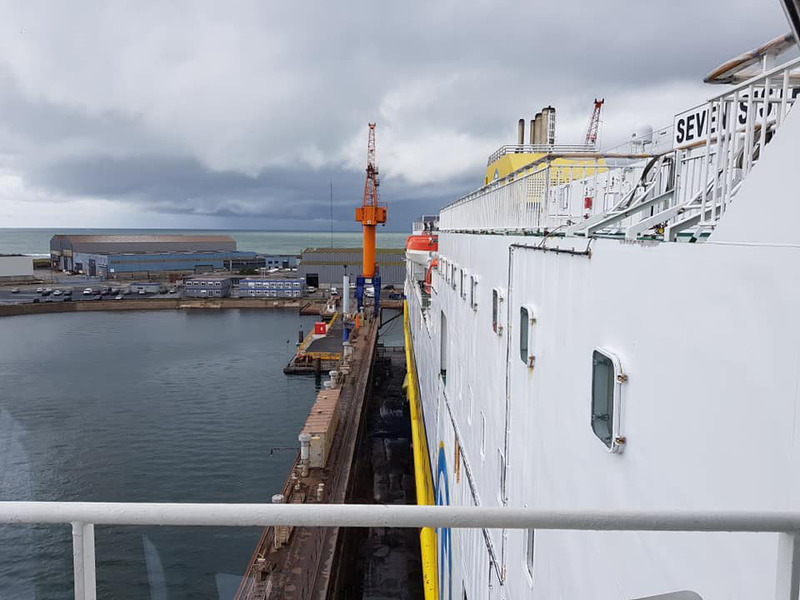 October 2nd 2018: Sailed to Dunkerque East for winter lay up. 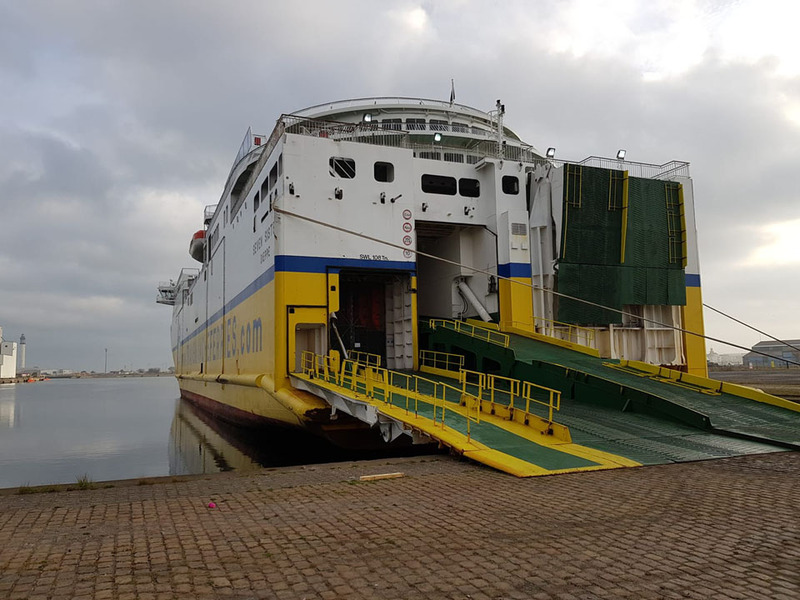 October 2nd 2018: Arrived Dunkerque East. 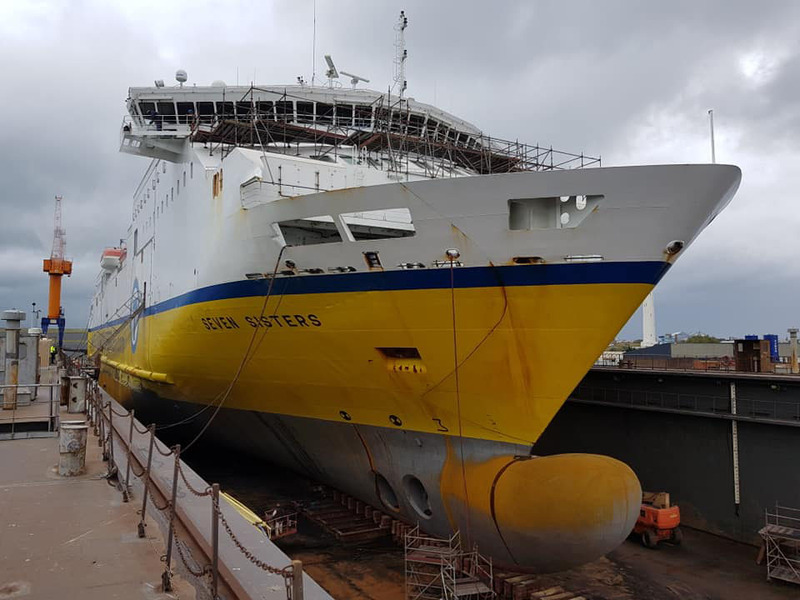 October 22nd 2018: Dry-docked at Damen, Dunkerque. November 14th 2018: Seen with livery change, having “www & .com” removed. January 24th 2019: Left lay up and sailed to Dieppe. 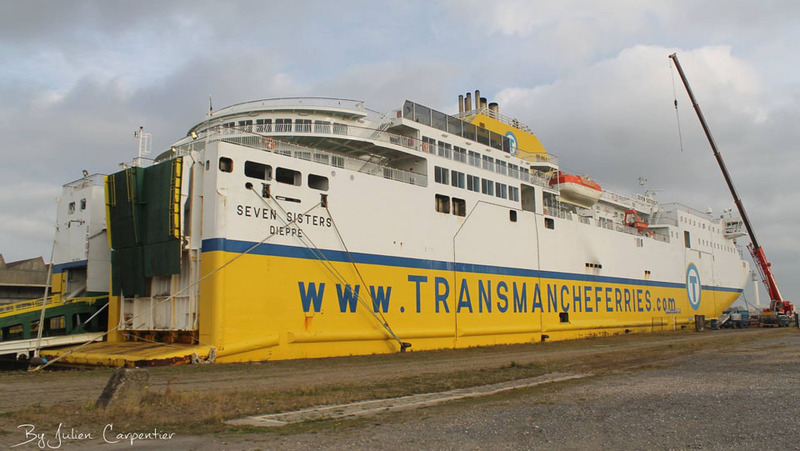 January 24th 2019: Arrived Dieppe then resumed services Dieppe – Newhaven. We would like to thank: Martin Appleyard, Carsten Dettmer, Julien Carpentier, “The Ferryman”, Robert Fournier, Andy Gilbert, Frank Loose, Fernandos Montes, Marco Stampehl and Andreas Wörteler for their assistance in producing this feature. All information is believed to be correct and no responsibility is accepted for errors and omissions.